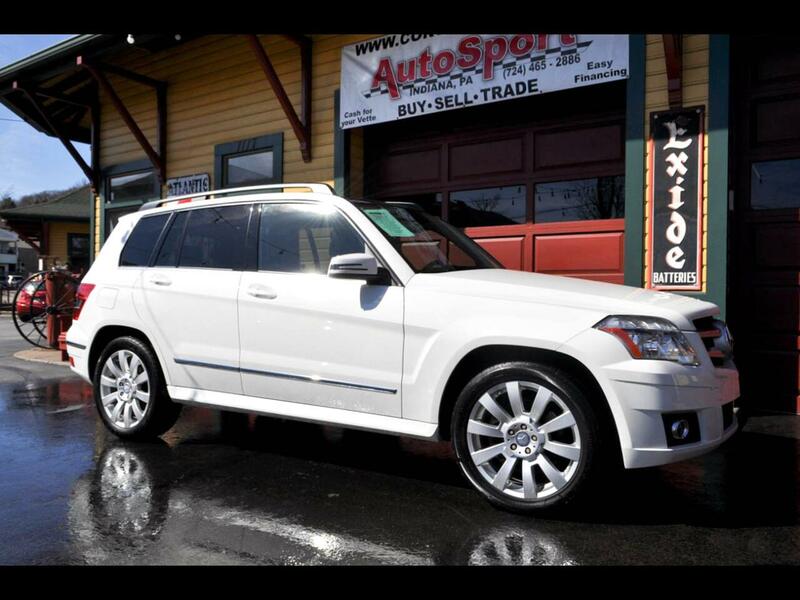 Used 2012 Mercedes-Benz GLK-Class GLK350 4MATIC for Sale in Indiana PA 15701 AutoSport Co. Offered for sale is a Clean Carfax, 1 Owner 2012 Mercedes Benz GLK350 4MATIC with only 79k well maintained miles! The white exterior of this GLK350 is in excellent condition with minimal wear present; likewise the wheels are in great condition with a lot of tread left on the tires! The smoke-free, black leather interior shows very well with no abnormal wear present for its age and the dash area and carpeting all show great as well! In addition this 2012 Mercedes Benz GLK350 is loaded up with features such as: Clean Carfax/1 Owner, All Wheel Drive, Leather Seats, Panoramic Sunroof, Factory Navigation System, AM/FM/CD/AUX Player, Bluetooth System, Wood grain Interior Package, Cruise Control, Light Tinted Windows, Current PA Inspections, Owners Manuals and much more!! For more information on this Clean Carfax 2012 Mercedes Benz GLK350 with only 79k miles feel free to call/text Alex at 724-840-3499. This vehicle is located at our Indiana, PA location; we accept trades and can help with financing options! Sorry for all of the sun glares in the photos, the car is in excellent condition and if you would like other photos do not hesitate to ask, thank you for your interest!